In the year 1778 the Oxford Canal reached Banbury but its proprietors promptly ran out of money as they had several times before. So for eight years the canal terminated here and work on the final stretch to Oxford did not begin until 1786 but this might have been to the advantage of local traders and carriers as goods would to have been transshipped by road. As early as 1790 Tooleys Boatyard and Dry-dock was established and still remains a working boatyard but alas the canal basin is no more, having disappeared under Banbury bus station. This final stretch of the canal from Banbury to Oxford was built on a tight budget. This shaped the very character of this part of the canal with its many familiar wooden lift bridges linking farmers’ land which had been divided by the cut, brick bridges being reserved mainly for road crossings. 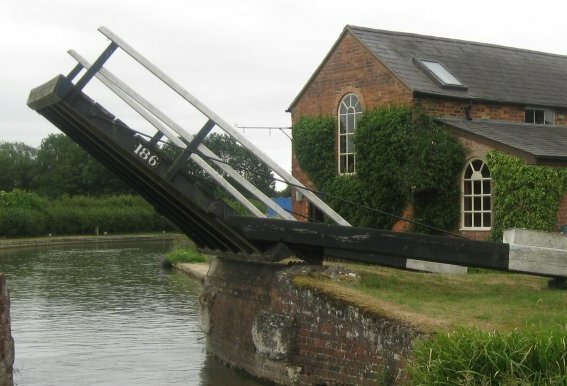 The double (mitre) bottom lock gates were replaced with single gates from thereon and parts of the River Cherwell were incorporated into the canal. This last cost cutting exercise still causes difficulty when the river is in spate.